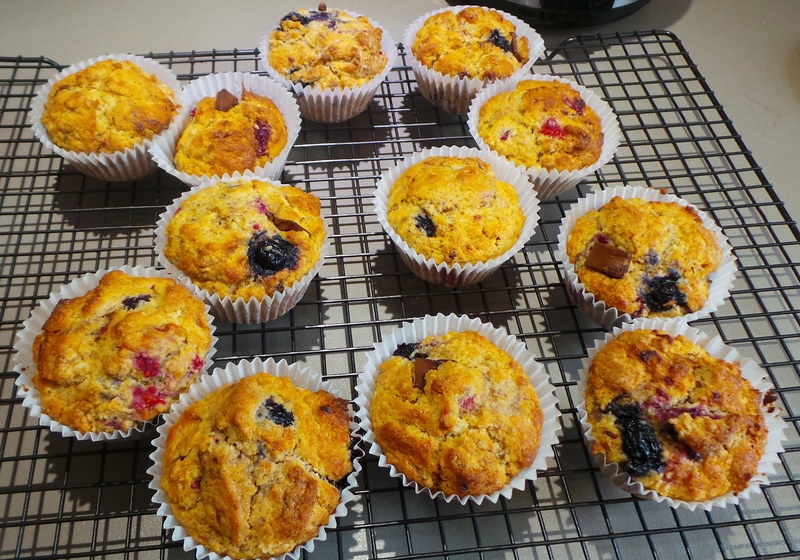 Fruit of the Forest Muffins. I’m having a few issues with my eyes at the moment, so this shall be short and sweet. Today I learned we were to have a visitor at some time during a 4 hour window, so I made muffins for when they finally arrived. 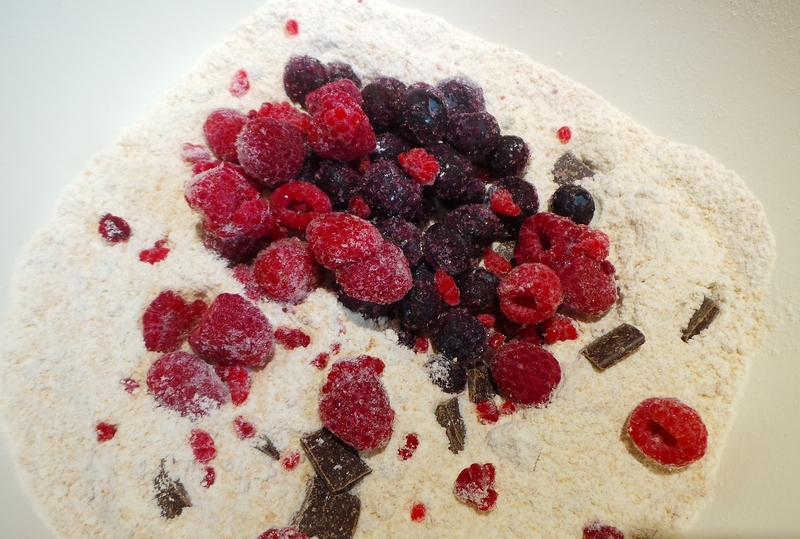 I’d discovered a few bags of tiny (ridiculously small) amounts of frozen berries when I was doing my freezer stock take the other day. A quarter cup of raspberries in a bag, for example. So, I mixed them all together and dubbed them Fruits of the Forest. Then I added a scant handful of dark choc chips and turned them into muffins. It used the last of the buttermilk I’d bought for The Boy’s work muffins the other day. It took about 10 mins and a few of my pantry staples to have something yummy for my guest. Win. I didn’t know when they would be leaving, so I rescued a bag of my Asian Flavoured Beef from the freezer too and popped it in the smallest crockpot. That’s ready now and I’ll be serving it with the leftover rice from last night’s curry adventure. Another win. I hope to do my green grocer shopping tomorrow, and will probably be listing this fortnight’s haul on the post after next. All while wondering if everyone wants me to keep doing this? They look good Sharon. Very inventive. Yes please. All your good ideas are an inspiration for me.